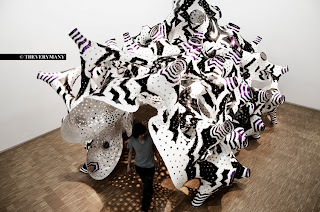 Y/Surf/Struc is a large scale physical installation that is currently exhibiting on the 4th floor of the Centre Pompidou in Paris as part of their permanent collection - and will stay there for 2 years. The project is an investigation into dramatic morphological changes: from a surface condition to a distributed structural network. 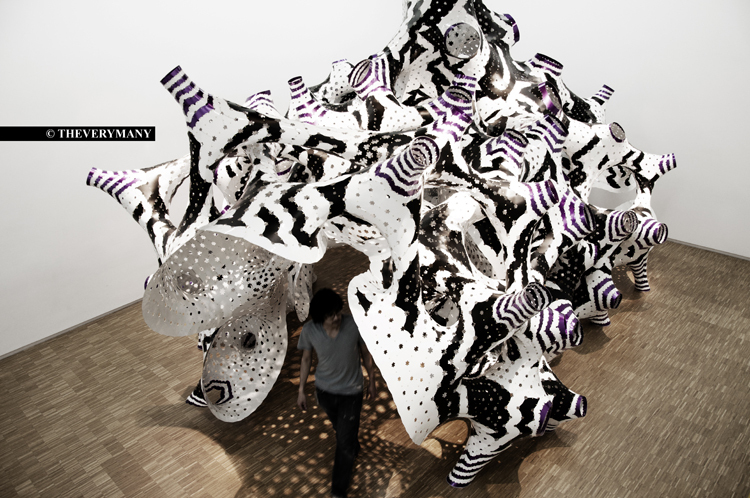 The resulting non-linear morphology is then described for manufacturing purposes into a set of 7000 aluminum stripes (all unique) through search protocols written in Rhino / RhinoCommon - before finally nested into RhinoNest.